Coaching students from over 160 different schools for the past 10 years. That Can Help Your Child Cut 90% of Revision Time And Yet Score A/A* In Less Than 6 Months! Yes, It’s True! We have helped over 3596 students with their PSLE using this system over the past 10 years! 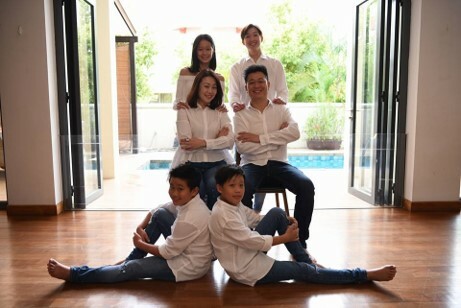 Strictly For Parents Who Are Gearing Their Child Up For PSLE 2019! Are you worried for your hardworking child who underperformed for his P5 SA2/P6 CA1? This is Lisu from ISUN Education. Till date, ISUN has successfully helped more than 3596 students to achieve breakthroughs in their results and positive attitudes changes. We started off as a team of very passionate coaches who strive to make every lesson memorable and impactful for our children. Despite the regimental learning curriculum in Singapore’s education system, we aimed to bring the smile back into learning again. You may have seen us in Popular Magazine, Facebook, The Straits Times or even hear about us through friends’ recommendations. 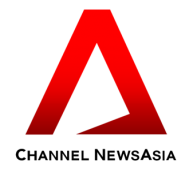 In fact, you may have also seen us on Channel News Asia where our centre was featured for our unique coaching approach and Power Revision Program which was specially designed for PSLE students to significantly reduce their revision time and get the results they desire. We recognized the importance of not just having academic excellence because ultimately, it will be the character that will shape them as who they will be in the future. Especially For Children Taking Their PSLE Exams In 2019! 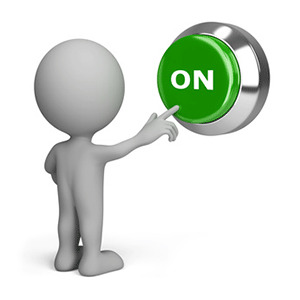 This 2.5 hr Power Ignition Workshop(UP: $97) allows you to learn how you can help your child save 90% of his/her revision time using the right tools, skills and strategies to score effectively and right away! Sign up now to attend this workshop for FREE! PSLE Skill Sets Checklist on what your child need to master for PSLE! INEFFECTIVE REVISION IS THE BIGGEST PROBLEM! Revision is about getting the mastery of topics that will be tested in examinations, grasping the ability to answer all types of questions with the right solutions and techniques. "why do I need to revise?" 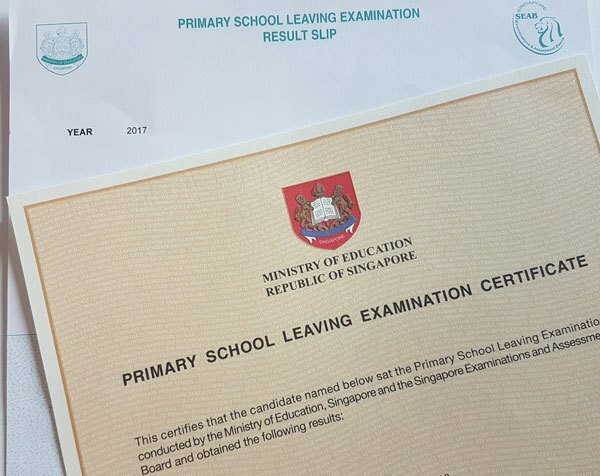 During the day when the students collect their PSLE results, it will be a disappointment for the children if their results are not able to get them in to the schools of their choice. 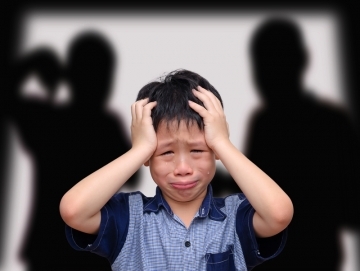 They not only lose the opportunity to get into their desired/dream school or even enter the stream of their choice, they might have to deal with the emotional distress like shame, guilt, self-doubt and remorse for not performing up to their own and their parents’ expectations. Or worse, some unfortunate ones may just carry all these negative experiences into their future lives, which will be detrimental to their success. Students are limited by their own beliefs based on their past experiences and results. Students are often being forced to go for tuition classes. They often refused to comply to the new learning methodologies and just pass their time in the tuition classes. Just flip through their work and you will realise that students even from P3, he probably and still make the same old mistake in P4, P5 and P6!!!! Some students have the tendency to blank out during exam conditions. They actually know how to do but just can't seem to handle the stress. They waste up to 90% of their revision time with ineffective studying tools and plans. Doing more assessment books, past year papers and going for more tuitions just to pack the day studying may not be the way to go. For some lucky parents, your child really wants to study but by looking at their mountain of work, they really just don't know where to start revising. We have witnessed amazing transformation in children from all walks of life. Many distressed parents came to us with a truckload of stress and doubts but they gradually experience the change in their own child as they start to be auto-pilot in their own learning. 7 months to PSLE, we still have time to work on all these problems and anticipate a huge turning point for your child! “….Over the course of the few months when he was in ISUN, I notice that he grew from someone who was very happy with a ‘B’, or ‘C’ even, to someone that now, cannot be satisfied if he didn’t give his best. still entertain his possibilities towards his distinctions. The ISUN PSLE Power Revision System puts your child on the right track to achieve their A and A* in just 6 months. 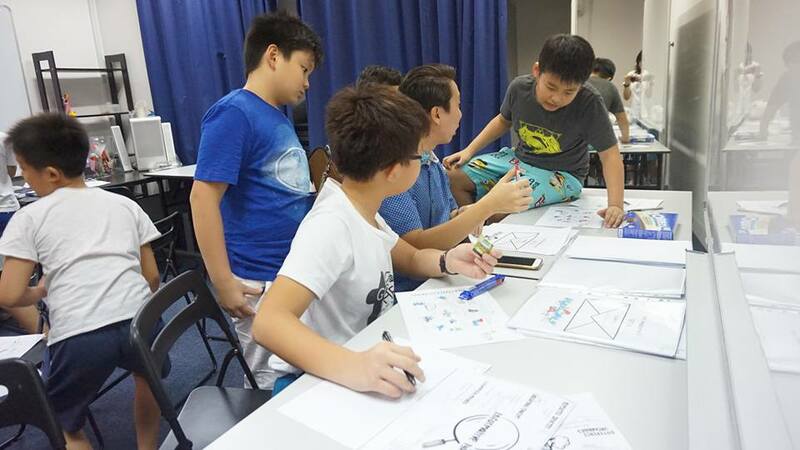 This proven methodology has been utilised by more than 3596 students to achieve their success in PSLE. *WARNING: EVERY STEP IS CRITICAL TO ACHIEVING DESIRED RESULTS. Removing self-limiting beliefs and creating new possibilities and goals. by removing existing self doubt and creating new possibilities. Only by going through this specific process, students are able to begin the PSLE Power Revision in ISUN. They learn to appreciate the value of friendship, teamwork and the warrior spirit. Students get to build synergy among themselves, and get comfortable with their learning peers and environment. This significantly improves the absorption of revision techniques. Not just that... This removes the resistance from them to ask questions in class, accelerating their learning pace. They understand the importance of teamwork, building trust between coaches and students so that they will be comfortable and open to ask questions during class. They will be EXCITED and WANT to be in the class. The challenge for most revision among students is that they are reluctant to do it. They lack the right environment and push from the right people. - The key is to set up the right synergy in class. 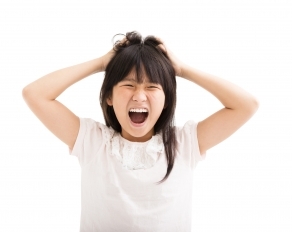 Students are resistant to new classes when they don’t know the teachers or their classmates. At ISUN, We overcome this by crafting a 2D1N bootcamp which gives students the perfect environment and opportunity to get to know the class. we believe that practice will only make perfect if it is done CORRECTLY. Consistent application of strategies can help to reduce or even eliminate careless mistakes in their examinations. In addition, it helps to build up on their strong answering techniques to accurately answer every exam questions. Students can easily achieve 20 marks jump (or more) if they apply this power drill. *We are the only one in Singapore that plans the whole PSLE revision journey even to the details of how students are being synergised! 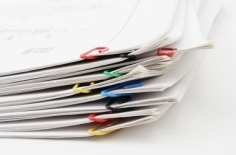 What’s missing in most revision plans is a detailed checklist of all types of questions and precise solutions. - Crystal clear checklist based specifically on all strategies and types of questions for every subject and topic. - Condensed information on all types of questions and answering skills per topic in one piece of paper! 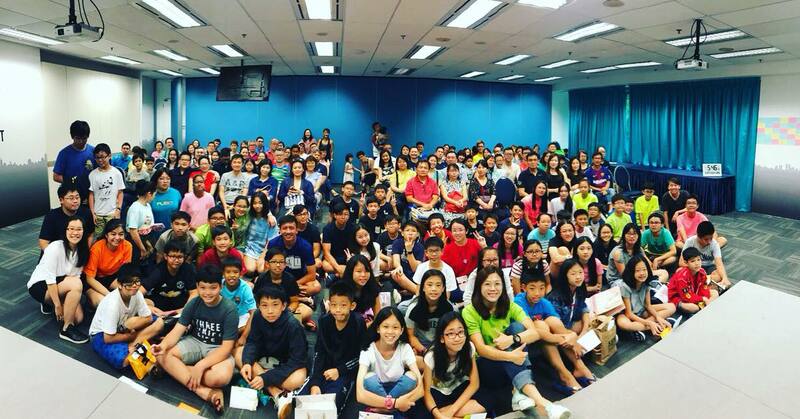 - 10 years worth of questions from more than 160 primary schools in Singapore, conquering all the different types of questions for each PSLE tested topic and master the relevant concepts and keywords.
" ... Normally, I read the Secret Success Strategies (S3) three times before exam. Once at home, second when going to school and third when in school. By just reading the S3, I have already scored 85.5 for my prelims. The S3 is indeed really useful. 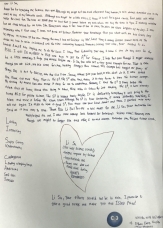 It is definitely something that I would use to revise before exams...."
See how our ISUN Power Revision system helped Ethan in his revision. 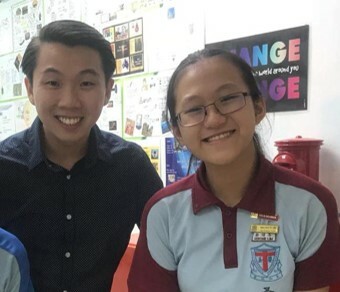 Usually at the final stage (2 weeks before PSLE), most students would either feel sufficient in their preparations or some just worry endlessly what could have been missed out. A typical scenario like “I don’t know what I don’t know” would occur and students will feel insufficient, in other words, they have blindspots in their understanding. - this is to give them the extra boost to A* (last 9%). 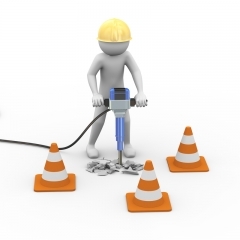 The power consultation time gives them an ample time to test and rectify their existing knowledge. It also challenges them on their deficiency/ blindspots and we can help to rectify them on the spot. 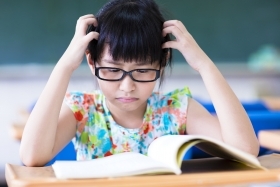 - where students get shocked when they meet a tricky PSLE question. scoring their As/A*s can be SO EASY! More than 3596 students (and counting) have seen their DESIRED RESULTS with us! 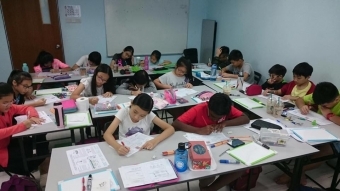 We stimulate exam conditions with our in-house PSLE mock paper. "I was so so motivated to get ALL my misconceptions right and also suddenly had a PASSION for Science. I still remember during the very first lesson, we did a heat S3. By the way, all the S3 I made this year were one of the reasons my concepts become clearer! and I will never forget them!" HOW CAN I GET MY CHILD TO MASTER THIS SYSTEM? If you like to experience this first hand to help your child save 90% of the revision time. Join us for this power ignition workshop to help your child achieve A/A*! Normally parents are paying $97, but now we are offering it for Free. We are doing free because parents and students usually get very stressed out but we want the parents and students to know the different solutions out there. Know how the 6-steps “POWER REVISION SYSTEM” can help your child achieve their A/A*. Learn how our proprietary strategy (S3) can instantly help your child secure full marks for the different types of questions. Get the detailed revision checklist for English/Math/Science on what your child needs to master for PSLE. 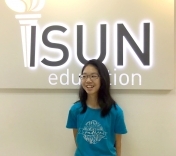 "...ISUN provides us with a wide variety of S3, which have many notes and important information which have benefitted me causing my examination results to jump by 30 marks from my P6 CA1 to Prelims...!" 1. An exclusive access to the our proprietary “S3” cheat sheet where we condense each topic into one piece of paper by all the possible types of questions being tested in PSLE. – paired with a collection of more than approximately 50 combined chapter summaries, cheat sheets (English, Math, Science) used by our ex-graduates. 3. 2.5 HOURS of quality coaching time with a well trained & tested expert in transforming the psychological states of hundreds of students over the years. 4. Interact with our coaches directly, clear all your doubts and ask as many questions as you like. 5. An opportunity to be able to work with the best academic coaches in Singapore to achieve quick & dramatic academic improvement for your child. Don’t revise for PSLE without learning this system. 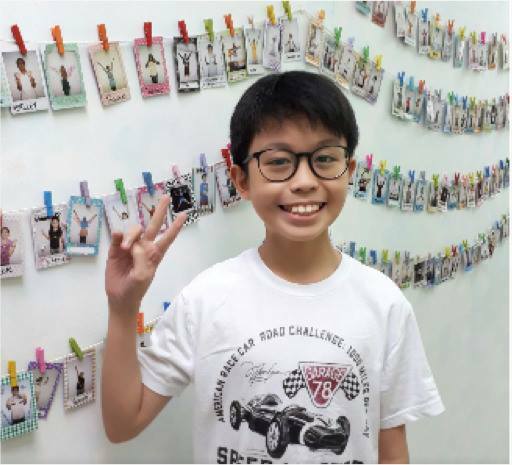 "Xavier joined ISUN in 2012 during the school holiday program, and from there he proceed on to primary 6. His first year in ISUN was horrible. He was a playful boy and he can’t concentrate but somehow ISUN coaches were able to pull him back when he is not concentrating. ISUN coaches are very different from the other enrichment centres he was in. My boy finds that the lessons in ISUN are very lively unlike other enrichment schools. He finds that this place is the correct place to be in as it enabled him to get better results and he did. From 60 he shot up to A*, and he was very happy with it and I am very proud of it as well. He told me that he wanted to come back again and he really appreciate ISUN coaches as they made him achieve what he wanted. Till now, although he is in secondary school, he still continues to achieve A1 in his science even though he is no longer in ISUN. We are very proud that the coaches had opened a correct path for him to achieve his goals. A very big thank you and appreciation to all the coaches to achieve in his PSLE." Josh joined ISUN through my niece, who was previously from ISUN. The ISUN coaches are very connected with the students and they inspire the kids to do better, not just in their studies, but in all areas. I do drop by to the centre once in a while and I see that the coaches are very different and they have very strong rapport with the students. I believe that the rapport between the coaches and the students drives them to do better in their studies. The coaches periodically update the parents about their child’s progress. Every test paper that Josh took back to the centre, the coaches will go through with him again and spot the ‘not careful’ (we are not allowed to use the word ‘careless’) mistakes and how to overcome them. Josh only revise his Science with his S3, which is a detailed summary sheet with all the key concepts into one A4 page. Students do not have to go through the pages of the contents from the textbook. Before that, he was alright with just a passing grade but after having gone through ISUN, now he only strives for the highest grade. He scored 50s to 60s previously but after attending ISUN lessons, he scored the highest in his class and he shared the experience with me, and I asked him how he felt, and he said “I am happy!” , and I replied, “When you are happy, I am happy too, you made me proud!”. "When she started in ISUN, I can see the changes in her. For the first one month, she struggled a bit because she was getting used to the different methods ISUN was teaching. Then subsequently during June’s Power Revision, I can see that she built up more confidence and she did better for her subjects. She showed more significant improvements in her results after June and most importantly, she became more confident. I view confidence from how she does her work and how she tackles situations that is out of subjects and I find that ISUN has given her these kind of skills that so far, I see none from other tuition centres. I am very grateful for ISUN coaches as they do not ask why my child fail to perform previously. All they know is that whatever happens, it is not important, whatever happens next is the most important. 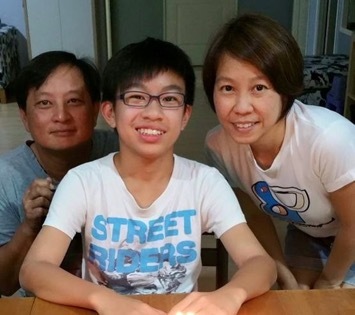 During March 2012, she scored a ‘C’ grade for both her Math and Science, and within 6 months when she did her prelims in school, she scored ‘A’ for both subjects and in PSLE, she scored ‘A*s’ for them! And that is really a dream come true for Karyn. From then, she successfully went in to her dream school, which is Nan Yang Girls’ High School. I find that whatever she learnt from ISUN can still be used today and she is still using it, in terms of the use of concept maps and also the life-skills, the way she look at things, and her confidence she has is really permanent. I look back to 2012 journey with my daughter, there are not many words which I can use to express how grateful I am, but I tell myself that I have definitely made a right choice of choosing ISUN. I went through this journey with my daughter who hasn’t had much confidence in the past to someone who can take on any challenges in life confidently. 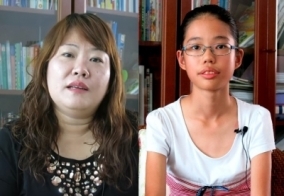 Karyn scored 4 A*s in PSLE and graduated valedictorian of her school. Thank you ISUN." 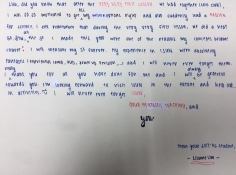 "You guys have prepared her well for not only PSLE – but Life!" The coaches at ISUN are amazing – Simply the best educators in my opinion. They drove my child to be confident and be a goal-getter! I particularly like the idea of the experiential camp.. it helped my child bond with her peers and the coaches! Over the course of only a few weeks, I saw how Aretha start to find her purpose and interest to her learning. She would seat through late nights, with the desire and dedication to complete her assignments. The S3 are so cool and I wonder why our school systems do not have similar attributes in their training and learning… I guess the difference is that you guys are indeed coaches! Thank you for coaching Aretha both academically and holistically. 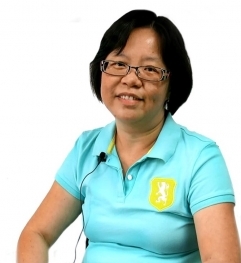 You guys have prepared her well for not only PSLE – but Life! "Their dedication towards the children’s growth way surpasses even the parents"
Her confidence has soared and heart opened too. For the first time, she met friends and coaches who love her and believe in her more than herself. She has been more focused and clear about her goals and intentions. Their love for the children. It reflects in the way they teach, inspire and guide the children. Their dedication towards the children’s growth way surpasses even the parents. They are more than coaches; they are mentors, friends and family. Writing the letter for my daughter was the most precious for me, as it got me to communicate some feelings for her which I may not be able to otherwise. 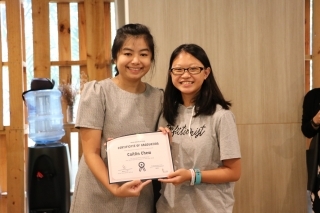 "not only did they focus on Caitlin’s studies, they also emphasized greatly in other equally important aspects like confidence, appreciation, love, and care for friends and family"
We cannot thank ISUN enough for the education they have provided for our daughter. We chose to thank ISUN for the education they provide because not only did they focus on Caitlin’s studies, they also emphasized greatly in other equally important aspects like confidence, appreciation, love, and care for friends and family. ISUN provided a holistic environment for Caitlin to grow up in. An environment that helped Caitlin blossom. THANK YOU LISU, JULIUS, SAMANTHA! You are not only teachers, you are LIFE COACHES!
" my results jumped from a fail to a high B in the span of 2 lessons"
The past year has been great! Your lessons are always interesting and fun! Thank you for always giving your best in class to make lessons as fun as possible for us. I like how the time in your lessons always pass the fastest. I remember how my results jumped from a fail to a high B in the span of 2 lessons at the end of P5 SA2. And now, I’m averaging A. In my most recent Mock exam, I even achieved 89! You help us in any challenges we face, encouraging us no matter what we do, including games during lessons, something schools will never do. I have learnt to be positive no matter what the results will be because what’s done cannot be undone. Thank you for all that you have done!
" 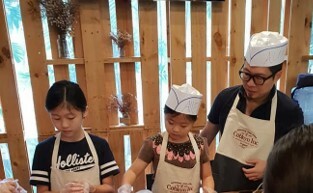 I have 4 kids all attended different tuition centres but never found one like ISUN"
"ISUN coaches are very different from the other enrichment centres he was in"
Both my boys, P6 & P4 attended ISUN tuition programs and I would say that I would strongly recommend ISUN to any parents that are looking for not just academic improvements but also character building. The coaches here are very passionate and caring and they guide the children with values and therefore a great improvement in their academics. 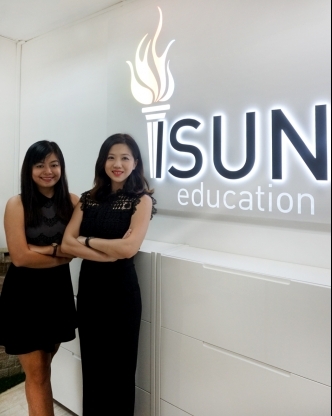 I have 4 kids all attended different tuition centres but never found one like ISUN. Thank you ISUN coaches for the wonderful experience in learning for kids. You are the best. 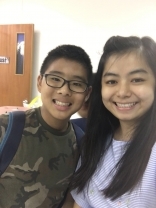 "coaching for just 6 months before PSLE, my daughter had made vast improvements in Science"
Lisu is a diligent and motivating Science Coach who is full of drive and committed to help her students to strive for good results. 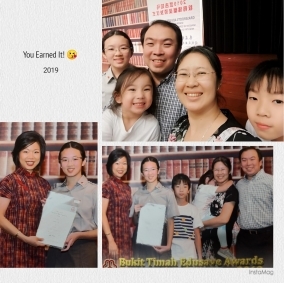 Under her coaching for just 6 months before PSLE, my daughter had made vast improvements in Science, which was her weakest subject among the four, and she went on to achieve good result during Prelims. 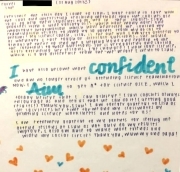 She was able to make use of the good resources provided by ISUN education and applied the strategies learned which eventually helped her to score A* for Science during PSLE. We were amazed by her achievement! Thank you Isun and Lisu for making it happen! All was worth the effort! "only revise S3... students do not have to go through the textbook"
"whatever she learnt from ISUN can still be used today and she is still using it, in terms of the use of S3 and also the life-skills"